At Thanasas Family Dental Care, we encourage you to schedule an oral cancer screening today. If you have not yet taken this life-saving measure, you should. Oral cancer is a disease not frequently discussed. There are few, if any, advertising campaigns, walks, or fundraisers supporting its treatment. Still, oral cancer claims one life every day in the United States. The reason for the high mortality rate is that most people do not seek medical help until the cancer has advanced. As with all forms of cancer, early detection and treatment are critical to the ability to be cured. Therefore, the sooner you know that you are at risk for cancer or are developing signs of it, the better your chances are of beating it. Unfortunately, no. Most people never have an oral cancer screening, and this is why the cancer is not detected at an early stage. At our Troy, MI dental practice, we suggest that you visit us for a screening right away if you have never received one. Otherwise, you can generally have this done bi-annually. If you live in or near the 48085 area, call (248) 260-2878 to schedule an appointment with our office. 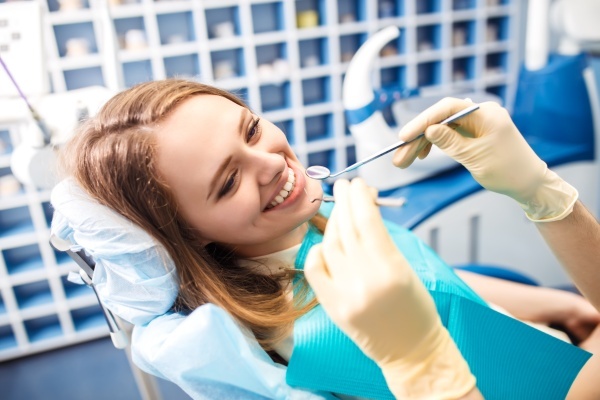 At Thanasas Family Dental Care, we will look for signs of abnormal tissue. Typically, we will see visible symptoms like red and white bumps, hard lumps, rough patches, or changes in the position of your teeth. Much of the screening is done visually. However, Dr. Manolis Thanasas D.D.S. will also feel your cheeks and the inside of your mouth while wearing gloves. This is to identify whether or not you have any strange or hard lumps within this tissue. Remember, oral cancer can impact all areas of the mouth, so the examination must be thorough. Since technology is constantly improving, we may use other testing resources when you come in and will be happy to discuss the process with you when you visit our 48085 dental office. We guarantee that the test is gentle and that you should feel comfortable during it. Check out what others are saying about our oral cancer screening services on Yelp: Oral Cancer Screening Troy. We recommend that you visit our Troy, MI dentist office for your first exam. Based on your risk factors and what we see, we will let you know how frequently you need to be examined. If you are a high-risk patient, we may suggest being screened annually. 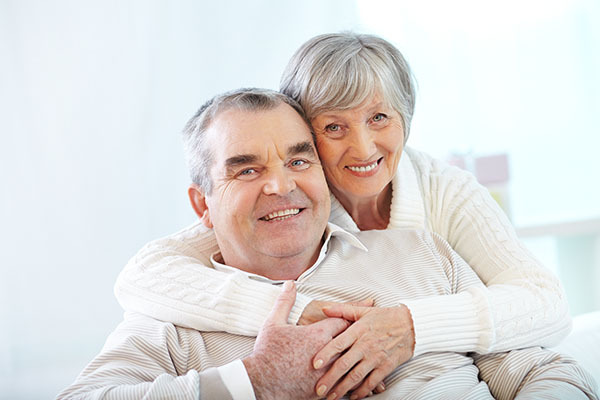 The common misconception is that only older men get oral cancer. It used to be that men got oral cancer at a 10:1 ratio to women. Over time, the statistics have changed, most likely because the habits of men and women are now more similar. With more women drinking alcohol and smoking, the published ratios are now 2:1. Recently, medical research has proven that some strains of the HPV virus also cause oral cancer. This has changed the way we look at this cancer and who we need to screen for it. The HPV virus can be contracted as early as the teenage years, meaning that both men and women, seniors and teens, could come down with this terrible disease. Dr. Manolis Thanasas D.D.S. recommends that all adults be screened for oral cancer. However, if you smoke, drink alcohol, or know you have the HPV virus, you should be particularly diligent about doing so. No, at Thanasas Family Dental Care, we do not treat oral cancer. We help to catch it. When it comes to cancer, early detection is of critical importance. It can literally save your life. Since we are the most familiar with how your mouth looks normally, we are the best prepared to identify any abnormalities. If we see anything that looks like pre-cancer or cancer, we will may perform a biopsy. This is where a portion of the tissue is taken from your mouth for further testing. In some cases, we may refer you directly to an oncologist in the 48085 area so they can perform further tests and then discuss treatment options with you. You can be the first line of defense when it comes to catching oral cancer. Dr. Manolis Thanasas D.D.S. recommends that you spend a few seconds examining your mouth after brushing your teeth. All you need to do is run your tongue along your cheeks, gums, and the roof of your mouth. If you notice any rough patches, lumps or bumps, make note of it. Do the same thing a few days later. If what you felt was the result of being sick or eating food that was too abrasive, it should go away after a few days. When it doesn’t, you need to call our office for an oral cancer screening and examination. The other thing to watch for is teeth that move for no particular reason. If they are pushed out of place, something must have been pushing them. Occasionally, that something is cancer. Regular oral cancer screenings can save your life. If you live in Troy, MI, we encourage you to call 248-260-2878 and schedule an appointment with our dental office today.